As the leading atelier for bathroom fixtures, THG represents the forefront of French luxury design. Their stunning collections have graced yachts, palaces, and a multitude of architectural gems. Among their latest styles are collective partnerships with Lalique and Manufacture de Monaco, the latter featuring two ornate collections with Swarovski® crystals. These latest offerings will be sure to delight with class and distinction, making THG a must-see brand at any major event. 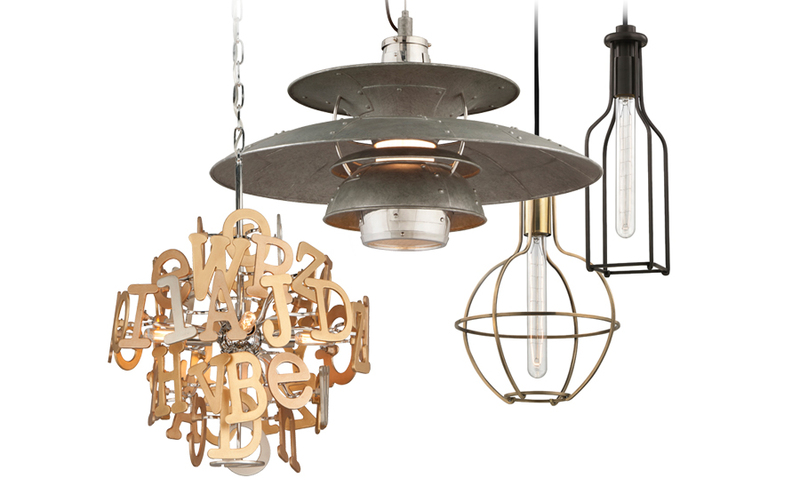 Making their ICFF debut, the combined brands of Corbett Lighting, Hudson Valley Lighting, and Troy Lighting will most certainly be a sight to behold. Featuring edgy contemporary industrial chic design, this booth will display some of the finest innovative styles of lighting fixture available. Corbett Lighting – Utilizing the finest materials, Corbett creates visually striking, sculptural handcrafted art pieces which reflect the latest trends in fashion, design and lifestyle. Hudson Valley Lighting – A wide range of lighting fixtures covers both modern and vintage styles. The brand focuses on fine detailing, finishes, and craftsmanship with hand-forged metals to create meticulously stunning lighting design. Troy Lighting – Creating a sophisticated casual design through its sculptural creations, the brand uses fine materials like solid brass, cast and spun aluminum, and hand-forged iron to create top quality fixtures through superb craftsmanship and style. Another company making their first appearance at ICFF is Hardware Renaissance, who feature hand-forged iron and sand cast bronze door and cabinet hardware with the highest quality and craftsmanship. Combining both traditional blacksmithing techniques and innovative modern technology, Hardware Renaissance proudly produces contemporary and traditionally styled interior and exterior door and cabinet hardware that adhere to environmentally sound practices. A woman-owned company, Hardware Renaissance’s mission is to create products of enduring beauty and design. 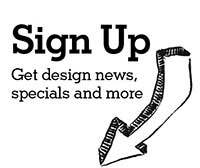 Their exciting and functional designs are definitely worth a stop at ICFF! 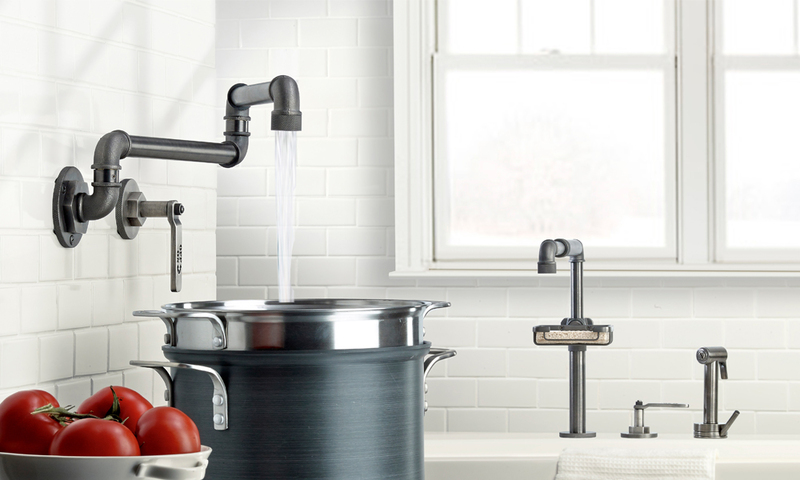 Located close by in Brooklyn, New York, Watermark has manufactured decorative plumbing fixtures, bathroom accessories, lighting and elegant hardware for luxury and commercial markets for more than 30 years. Inspired by their neighborhood’s industrial history and style, and amidst today’s creative melting pot environment, Watermark is one of the leading brands for industrial chic and contemporary fixtures. At this year’s ICFF, Watermark is introducing their highly anticipated H-Line Collection as well as additions to the already popular Elan Vital Collection. The H-Line collection was designed in collaboration with renowned designer Mark Zeff for the 500 W. 21st Street (Chelsea) condos overlooking the famed High Line Park. This is a great opportunity to see the entire line up close and personal. Creating the latest advancements in artistic wallpaper design, Flavor Paper can transform your home or business into a delectable paradise setting. Through a wide range of varying styles including floral patterns, outdoor scenery, portraits, and a vast array of fun, enticing imagery, Flavor Paper helps elevate the wall from the typical plain and bland mono-colored style to vibrant and amusing imagery that will raise your spirits and creativity. Another incredible aspect of the company is their scratch and sniff line. Not only can you decorate a room with happy bananas, but you even have the option to enjoy their scent as well. It’s things like these that make Flavor Paper a fun, must see exhibitor at ICFF. Uniting dinner tables and billiards, the Fusion Table can be one or the other, providing an excellent way to entertain guests and families, without the need of an entire room devoted to billiards. 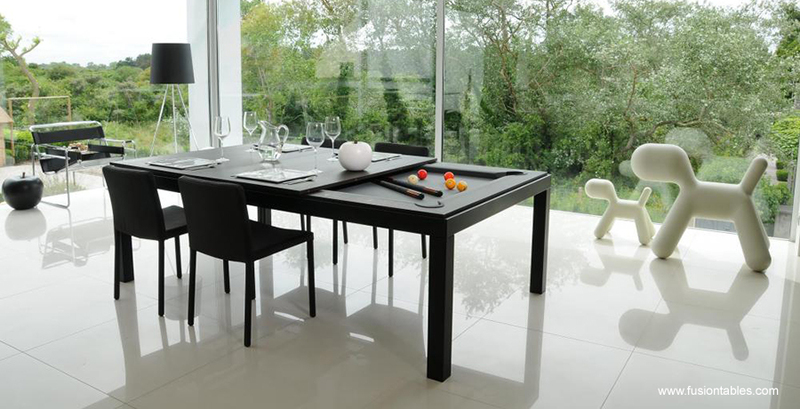 The dining table is easily removed to reveal the billiard game below. Using only the finest materials and the highest technological manufacturing techniques, Fusion Tables are providing a fun, affordable way to bring the game of billiards into your home without demanding any extra space. Constructing fashionable gas fireplaces for both residential and commercial purposes, Spark has revolutionized the industry. Gone are the days of collecting wood and dealing with messy ash and chimneys. Spark fires are clean, efficient, and provide comforting warmth to the users while enhancing the decorative aspects of its location. Enabling the warmth of fire to blend in with luxurious surroundings, Spark Modern Fires will be certain to catch the eye at ICFF.